I’ve been reading “The Power of a Praying Wife” by Stormie Omartian. Wow. This book is life-changing. I don’t say that about many books. But this book really brought me closer to Christ and changed the way I look at Luke. I started reading this book about 2 months after we got married. If you are married- I highly recommend this book! The way I decided to approach the book was to read a chapter a day. There is a section at the back of each chapter that has a prayer to pray for your husband. I decided to write my version of that prayer on a 5×8″ note card. That way each day I say a new prayer for Luke, but also offer up other prayers for different areas of his life. Again, I say, this book is life-changing (for me)! I didn’t come to this book hoping to “change Luke”, but to change myself. No, Luke and I haven’t had any (marital) problems since we’ve gotten married or anything, but I felt very led to read this book. 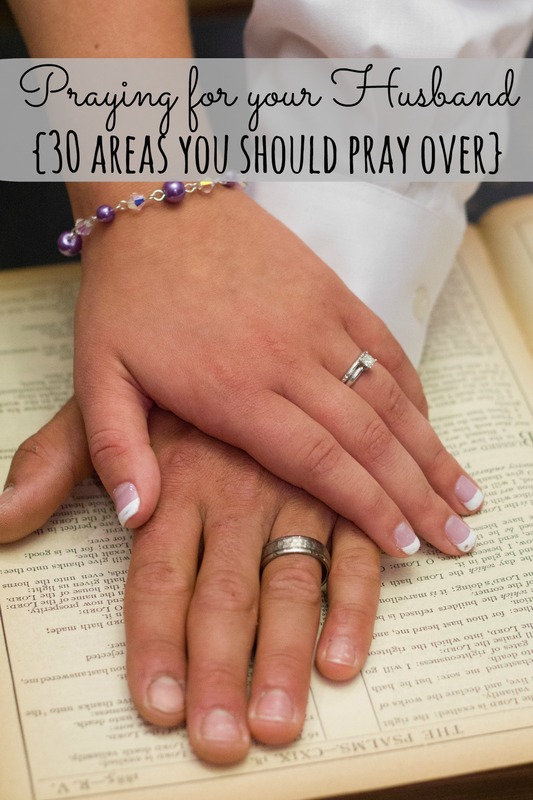 I want to share with you the 30 areas to pray for your husband. #1- His wife. You! Pray that you will be the wife he NEEDS you to be. #10- His choices. This is a big one. Your husband is the leader and head of your household. But you have a powerful tool. Prayer! Are you still with me? That’s quite detailed, isn’t it? I love it. Such a blessing to your soul, and your husband’s! Here is a quote from the intro of the book that I just have to share. It shows the importance of prayers of a wife for her husband: “A wife’s prayers for her husband have a far greater effect on him than anyone else’s, even his mother’s. A mother’s prayers are certainly fervent. But when a man marries, he leaves his father and mother and becomes one with his wife. They are a team, one unit, unified in spirit.” You are one with your husband! What happens to your husband happens to you. God has brought you two together. You need to pray for grace and blessings upon your husband, and show your husband grace and bless him. Even if you are not married yet- you can read this book and start praying for your husband now! 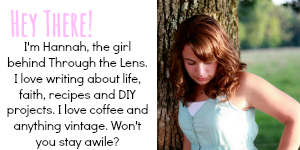 ” She will do him good, not evil all the days of her life” (Proverbs 31:12). No one is married every day of their life. You have to do your husband good, even before you have met him. Not even for his sake, but because that’s what God has asked you to do. Love this!! Thank you for the reminder! Love you, Hannah Diane! !